Price listed is for each glass stones. 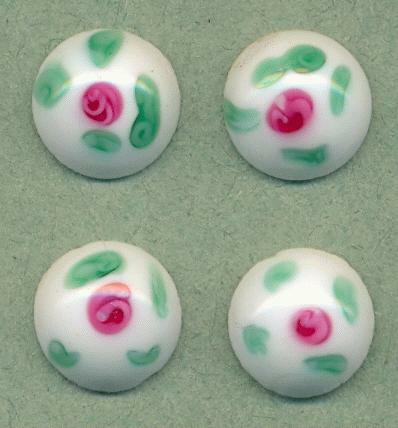 These are approximately 12.6mm round abstract floral stones with a with base. They have smooth round tops and flat backs. Some of these may have tiny nicks on the bottom edge. The pattern varies from one stone to the next.